What is an IBC Tank? 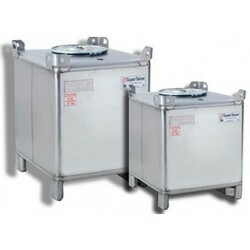 IBCs (Intermediate Bulk Containers), also known as IBC tanks or totes are industrial grade containers that are specifically designed to handle hazardous and non-hazardous bulk liquids or solvents. Often made of stainless steel, IBC containers are frequently used by farmers, as well as chemical and pharmaceutical companies to safely store and transport chemicals, petrol and waste water, even clean water on occasions. 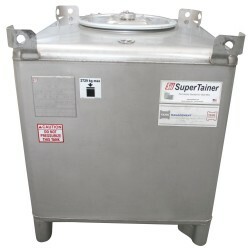 Constructed from UN/Dangerous Goods Approved 304 grade 10 gauge stainless steel, each IBC tank comes with a combination of stacking pads, leg positioners and lifting lugs for easy storage and transportation. How Many Litres in an IBC Tank? Our range of metal IBCs are capable of storing between 500 litres to 2082 litres of liquid product, weighing from 130 kg to 306 kg, respectively. From the perspective of dimensions, each stainless steel IBC is 1220mm in length, 1060mm in width, and ranges anywhere from 665mm to 1900mm in height. 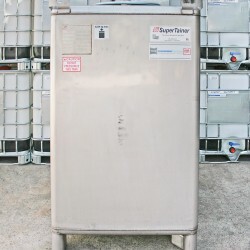 There are many benefits to using stainless steel IBCs, for example they are durable and long lasting, making them ideal for storing chemicals. Their cubical design makes them easy to fill, discharge, stack, store, and move around your warehouse using a forklift. Every Tank Management Services’ stainless steel IBC is compatible with our IBC adapters and camlocks, ensuring that you will always be able to replace your IBC fittings easily in the future. 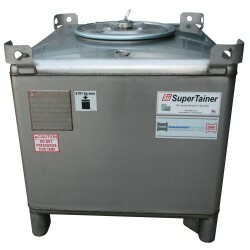 A metal intermediate bulk container, such as an IBC tank, is a low cost solution for storing or shipping liquid products or waste. At Tank Management Services, we provide a service that allows businesses to recycle or safely dispose of their old IBC tanks; this is an environmentally friendly way to dispose of your old metal IBCs. Please contact us if you wish to recycle your used IBC tanks (we clean, test and either reuse or safely dispose of the parts). To use our IBC Collection Service or our IBC Cleaning and Testing Service or for more information on our stainless steel IBC containers, please call us on 1800 333 124 or send us an email today.